« More knitting – imagine that! 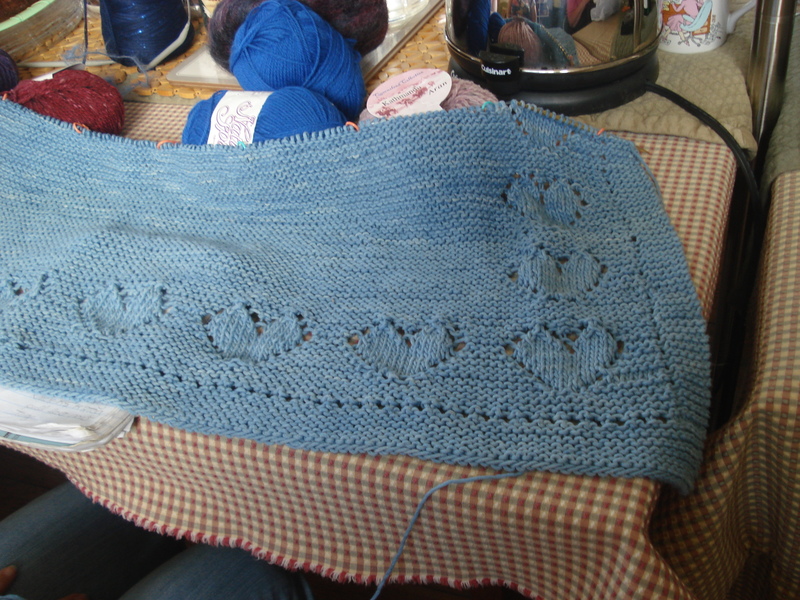 The pattern is simply one that requires a little time to get “married” to rhythm of it….Maure was going through lots of changes when she started this blanket…and kudos to her for sticking with mastering the pattern. 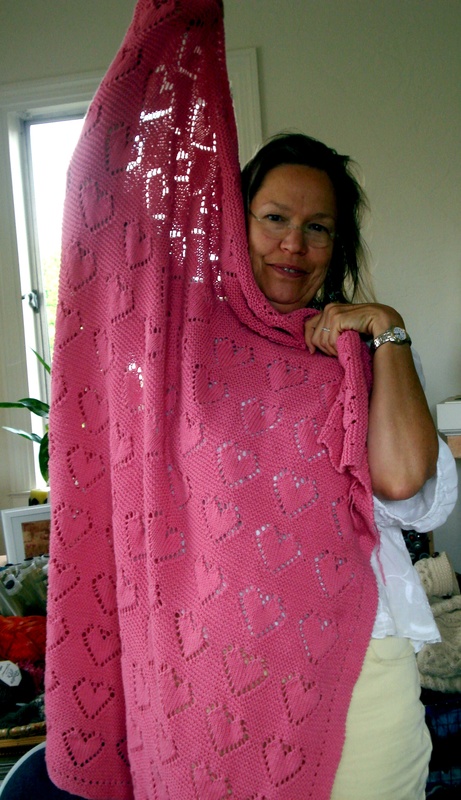 The blanket is beautiful and I’m delighted that she is inspired to do a modified version. Go Maurie! Kudos to Maurie – her colors are exceptional. I knit a baby blanket in this same pattern (it was in Gwen Steege’s “Knit Baby Blankets!”) in Rowen Soft Baby (wool, polyester & cotton) awhile back, and recommend it. Jan…I remember yours but had forgotten that it was featured in the book “Knit Baby Blankets”. Thanks for the reference….and yours was beautiful. I’ll try to link back from here. 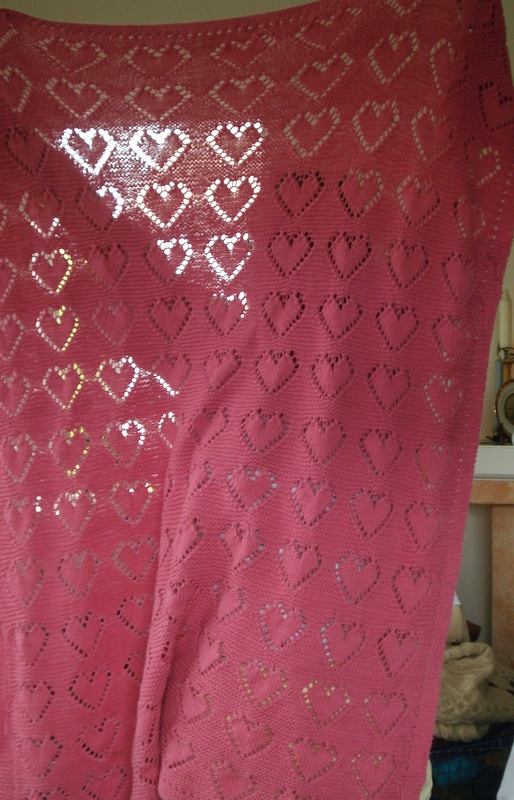 on May 25, 2012 at 7:51 am | Reply Lenore V.
Hi I chanced upon your finished rose heart blanket. It’s absolutely beautiful! and congrats on sticking with it! I’ve been looking for this pattern for a full year and hoped you might be able to share it with me. Good morning. I don’t have this pattern in stock but I have found the link to Fiber Trends online and you can purchase there.